The ears are sensory organs that often suffer infection, especially in children. 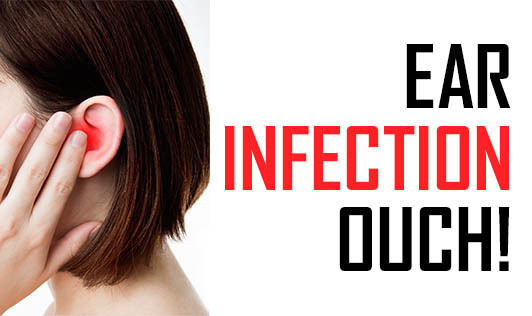 These infections may be acute or chronic; they can affect the external, middle and inner ear. Following a few simple tips can reduce the risk of contracting an external or middle ear infection. Avoid polluted water: People who swim in polluted water may develop an external ear infection known as swimmer's ear. To reduce this risk, a person should avoid swimming in untreated swimming pools, lakes and other stagnant bodies of water. Keep ears dry: Wet ear canals are conducive to the development of infection. It is important to dry the ears after bathing and swimming. This can be accomplished by turning the head until one ear is pointed downward, and using a clean towel or tissue to dry out the outer part of the ear canal. Avoid sticking objects in the ear: Placing a cotton swab, key, hair pins or other object into the ear can scratch the delicate ear canal, setting up the ideal environment for an infection. Instead, an individual should follow his physician's advice for cleaning excess wax out of the ear. Hold baby upright during feeding: Mothers or caregivers should hold an infant upright during bottle feeding to lessen the risk of developing a middle ear infection. A baby should never be put to bed with a propped bottle. Promptly treat sinus infections: Prompt treatment of a sinus infection can often prevent it from turning into a middle ear infection.